Marco Degasper, a local specialist from Ethiopia, helped this traveler put together a customized itinerary. 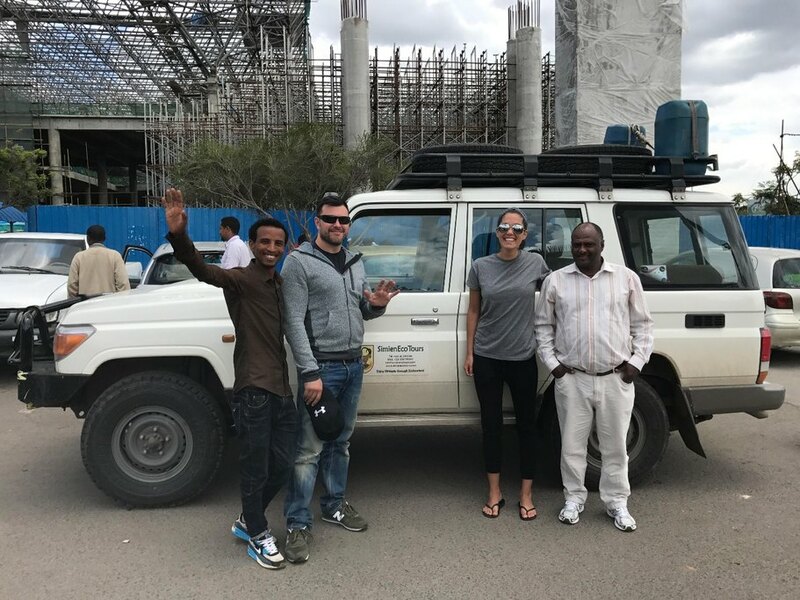 thanks for getting in touch about your planned visit to Ethiopia! My name is Marco, and I manage an ecotourism company based in Addis Ababa and Gondar. Look forward to helping you plan a great trip to Ethiopia! If you want to see the ethnic groups there is only one direction to travel: the south. But of course in only six days, you can't travel to the north as well, where you have more options for trekking (Simien Mountains). Let me have your comments. Would be great to hear from you again! Awesome - thanks for this! I'm sharing with my travel companion now. Standby for a reply. Just have a couple questions. where would we be staying? How are meals going to work? And price? in most places there are hotels with different standards. mostly we use upper-middle class for our clients, but sometimes it depends from their budget. we can include or exclude the meals from our offer. it depends from you. just tell us what you want to have included and then i can send you a proposal. I would say include everything - food / transport. As I'm sure you know - food safety is paramount in regions like this so please ensure all food included is safely prepared. Also, the girl I'll be with is vegatarian. - guide of our agency for the whole tour. - extras and personal expenditures. Start of the tour will be in the morning of day 1 and end in evening (after dinner) of day 6. So accommodation in Addis Ababa is not included. Don't worry about the food. The meals are well prepared in this kind of lodges and being vegetarian is also not a problem. Please note that there will be an extra of 90 USD for the domestic flight in case you are not using Ethiopian Airlines for the international flight. If you use Ethiopian Airlines for this sector the domestic flights are discounted and therefore cheaper (100-200% discount!). Just consider this when booking the international sector. Thanks Marco - this all sounds fantastic. Is there any flex on the rate? We're coming from Canada so the USD exchange hits us pretty hard. Let me know. This is exciting. A bigger discount is possible only if instead the 2 mentioned lodges you opt for hotels of a lower standard, which I actually don't recommend. Let me know if this price is ok for you and I can send you the formal proposal (comes together with a more detailed description of the tour). Please send the proposal, thank you! hi, do you know already if you're flying into ethiopia with ethiopian airlines or with another carrier? We fly into Addis on the morning of the 8th from Dubai. ok, but again, i need to know if your flight from dubai to addis on the 8th is with ethiopian airlines or with another airline. ok, thanks. then we have to add 90 USD per person because you're not entitled to get the discount. Amazing - give me a few hours to review and book. after your booking i need the full names, birth date and passport number of both travellers to book the domestic flights. if you can send me a scan or photo of your passports (page with personal data) would be even better. Just to be clear - this includes transport from the airport in Addis when we arrive? And, is the tour private or are we with a group? yes, of course we will pick you up from the airport. it's a private tour for the 2 of you only, so no group tour. I just officially booked. A few more questions: 1) Could this tour be adapted to include some hiking? 2) Could we ensure we're not going to common "tourist" areas? We'd like to ensure what we're seeing is truly authentic / not too touristy. Looking for as much outside the box adventure as possible. Thanks! I have all necessary information to book the domestic flight and hotels/lodges and will do it in the coming days. 1) we'll try to include also some trekking, but it's more like easy walks. don't expect a lot of serious hikes like we could do in the simien or bale mountains. 2) you will be accompanied (beside our SimienEcoTours guide) by local guides in each destination. These know very well the local areas and will try to satisfy all your wishes in terms of isolated and remote villages, even if in only 6 days you can't do a lot. Thanks Marco - we're excited!